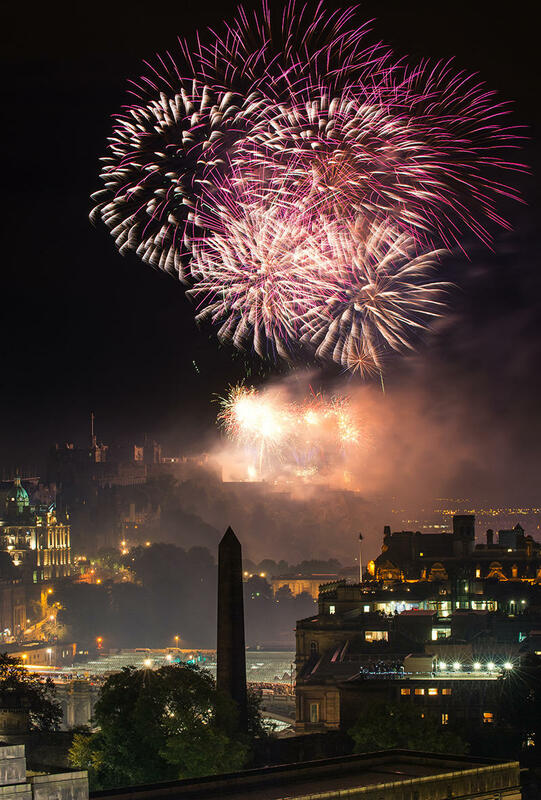 Since moving to Edinburgh two years ago now, and visiting for a good five almost every weekend, it has been a long time coming that I've wanted to celebrate new year and Hogmanay in the city, so we rounded up a group of our friends and sorted out tickets. It was too late for us to get the residents discount as we hadn't been organised enough (making the street party a discounted £19) but instead ended up paying full price at £25, which I didn't think was too bad actually as that also included our booking fees and provided you with a wristband, which was much more ideal than having a ticket that I would most definitely lose on the night! 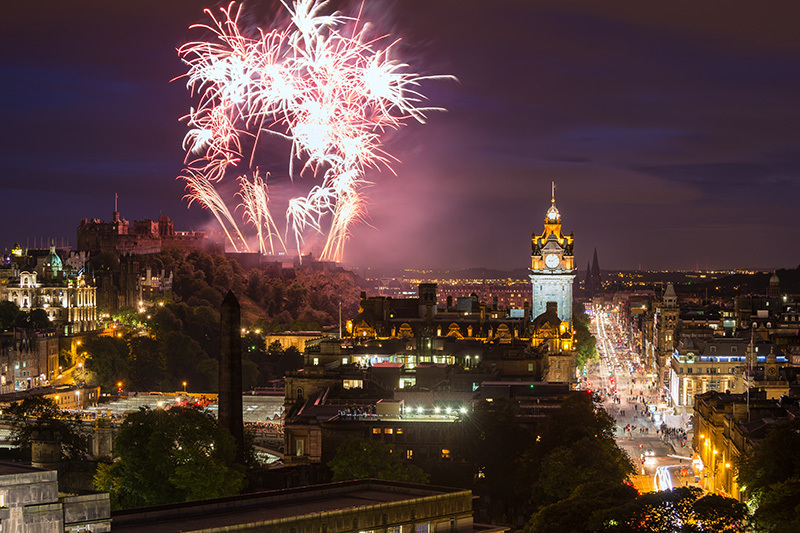 The festivities start pretty early with gates opening from 7pm, then there are bands on each street leading off from Princes Street set up on stages playing around the clock from 9pm until the party ends at 1am. We all decided to head over to a friends first for drinks to get ready and then headed out on our way around 9:30pm, by which point the crowds were still pretty manageable. I had a slight panic half way there after drinking half a bottle of Prosecco I knew it would only be a matter of time before my tiny pea sized bladder would be searching for a toilet, in which on the street party there were a few dotted around various entrances but the queues were ridiculous. For this reason I'm actually quite pleased we ended up going a little later on as after midnight we had been there for just over three hours (still holding out on avoiding the port-a-loos!) and managed to make it back to our flat in time instead. We had grand plans of seeing a few different bands across all this stages, but really once you get stuck into one crowd there's no escaping as it truly is jam packed full of people. We were at the Craig Charles soul and funk stage which was throughly enjoyable dancing to all the golden oldies, and everyone was in high spirits. The stage was just across from the view of the castle on Fredrick Street so we decided it wasn't worth spending time pushing through the crowds to go anywhere else as we knew we would have a good view of the fireworks all the same. The entire night seemed to pass in a total blur and it did not feel like we were there for over three hours at all, we opted to go for the street party tickets as opposed to the gardens as those tickets were pretty much double the price (though you did get seating for the performances, and the main bands of the night will play there). I would say the only disappointing part of the evening is that there wasn't a big countdown, I don't know if it was just because we weren't close enough to a speaker or a screen but I think it would be more beneficial if they had more of these to really include everyone in such a vast area. So instead we had a bit of a panic checking our phones and screaming '3 - 2 - 1!' nor was there a mass Auld Lang Syne at midnight (hello we are in Scotland!) though I do wonder if because so many people attending are tourists it's perhaps not something they know. We did get some strange looks screaming it to ourselves in the middle of the crowd.